p 26 I finally get great bread after baking the risen bread directly on a pizza stone on the lowest oven rack. I preheat a La Cloche top only along with the stone and cover the dough with the top for 15 minutes, remove the top and move the bread directly to a top rack for 20 mins. 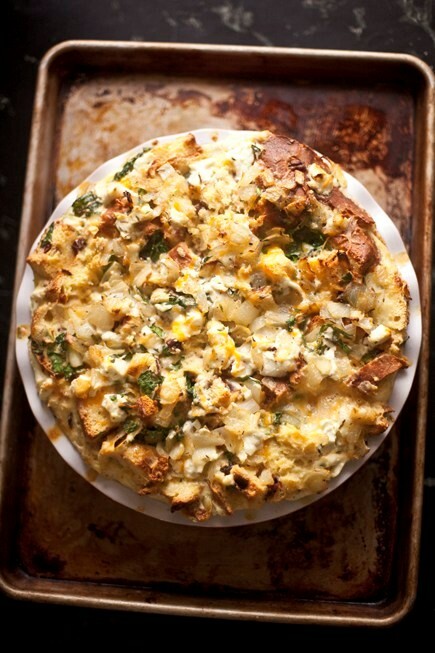 This avoids a burned bottom crust and nicely browns the top. When you remove the bread from the oven you will hear the bread snap and crackle as it cools, a wonderful sound. We were surprised by how flavorful this great is. 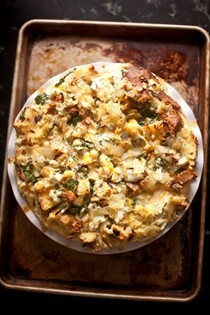 We are not gluten free people but are trying 90 days gluten free so get I would try this. It's really very tasty. Ours did not rise very much for the shaped rising. I allowed an hour to rise before cooking. This may be how gluten free breads perform. Again, we have limited experience. Even now I hear the bread container in the kitchen being opened signaling that it has snack worthy flavor. We are pleased. This is a great upgrade to the original book with a lot of new information to improve your bread baking skills, and offers enough variety that you might just start baking bread every day. 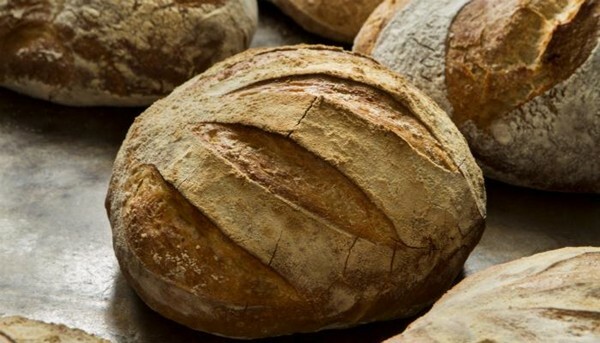 With more than half a million copies of their books in print, Jeff Hertzberg and Zoë François have proven that people want to bake their own bread, so long as they can do it easily and quickly. 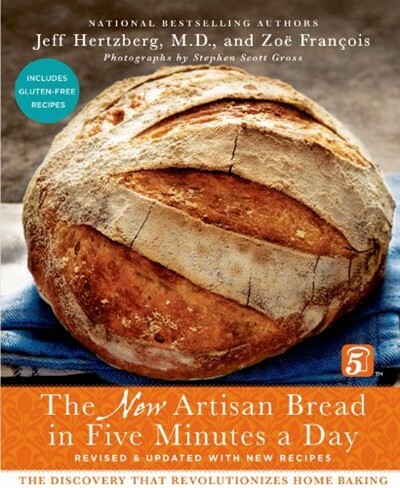 Based on fan feedback, Jeff and Zoë have completely revamped their first, most popular, and now-classic book, Artisan Bread in Five Minutes a Day. Responding to their thousands of ardent fans, Jeff and Zoë returned to their test kitchens to whip up more delicious baking recipes. They’ve also included a gluten-free chapter, forty all-new gorgeous color photos, and one hundred informative black-and-white how-to photos. They’ve made the “Tips and Techniques” and “Ingredients” chapters bigger and better than ever before, and included readers’ Frequently Asked Questions. /p>This revised edition also includes more than thirty brand-new recipes for Beer-Cheese Bread, Crock-Pot Bread, Panini, Pretzel Buns, Apple-Stuffed French Toast, and many more. There’s nothing like the smell of freshly baked bread to fill a kitchen with warmth, eager appetites, and endless praise. Now, using Jeff and Zoë’s innovative technique, you can create bread that rivals those of the finest bakers in the world in just five minutes of active preparation time.